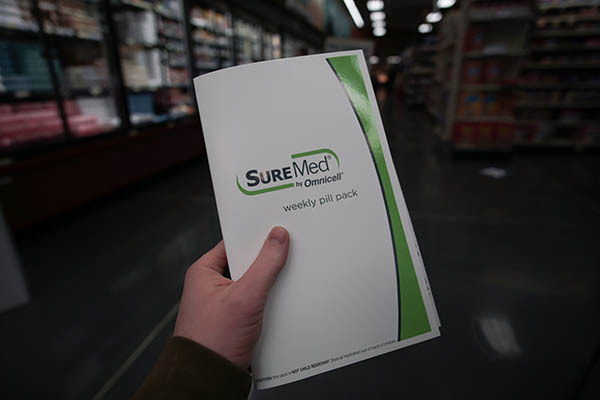 Whether you travel, keep a busy work schedule, or sometimes find that juggling prescriptions can feel like a full-time job, compliance packs are available to make your life a little bit easier. 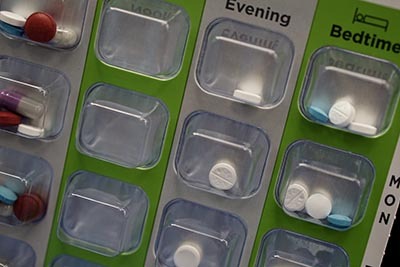 Our compliance packaging sorts and separates your prescriptions into proper dosages for each day, and you receive clear, easy-to-understand instructions on when to take the contents of your pack. When it comes to taking your prescriptions on time and keeping with the correct regimen, this method effectively eliminates all the guesswork and keeps you on track. 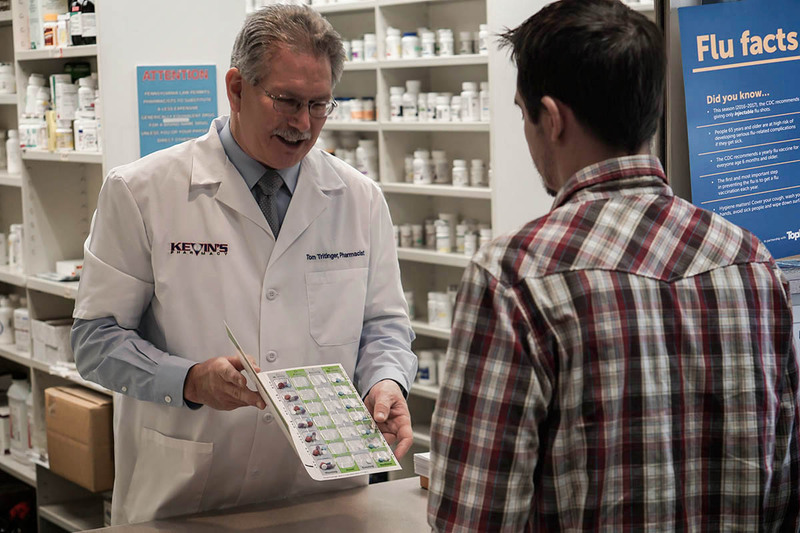 Custom-made for you, Kevin and his pharmacy team can easily consolidate multiple prescriptions in this way for your convenience. You’ll never have to worry about if you’ve taken the right medications each night–with our compliance packaging, knowing which pills you’ve taken each day is easy. 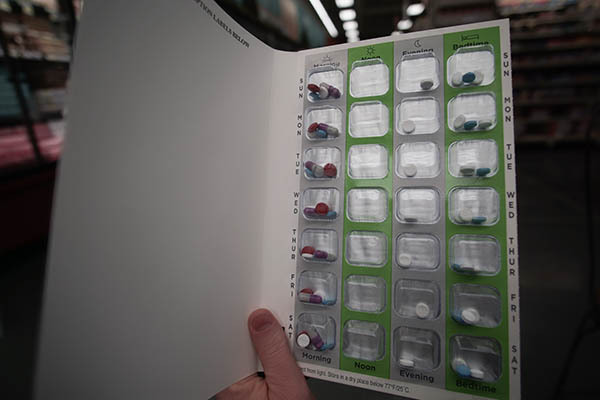 We group your medications in easy-to-understand packaging and separate your pills into each dose, making sure that you know exactly where you stand with your prescriptions.